easiest way to get an ed perscription. generic viagra professional 100mg. buy Penegra online buy accutane australia. , buy dapoxetine online. Murang’a Governor Mwangi Wa Iria has been summoned to appear before the Senate’s Lands Committee to shed light on the on-going water impasse between Murang’a and Nairobi counties. 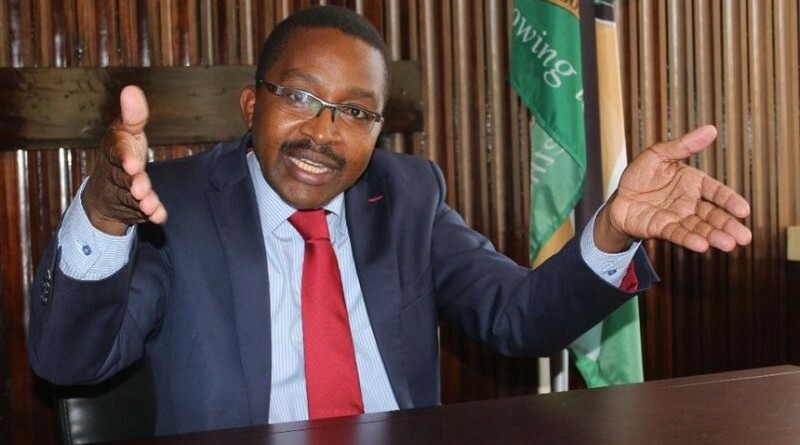 Wa Iria who failed to appear before the Senate yesterday wants Murang’a County to be paid 25% of revenue raised from the sale of water to Nairobi County. This has ignited a war of words between him and Governor Mike Sonko. While weighing in on the matter, President Uhuru Kenyatta warned leaders against politicizing Ndakaini water, hugely stacking odds against Wa Iria’s push for the sharing of revenue from the sale of the water. Tuesday’s failure to appear before the Senate over the matter saw Senators accuse the governor of arrogance and disrespect. Wa Iria has now been summoned to appear before the lawmakers on 30th October. Governor Wa Iria’s has already said he will push for a referendum to provide for frameworks on how resources can be shared between the national government and the counties.